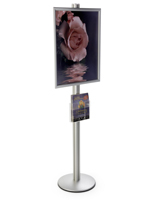 When it comes to floor-standing snap frames, it is important to outfit your business, store, office or trade show display with the most sturdy, durable and eye-catching holders. 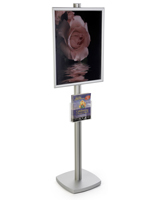 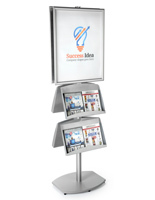 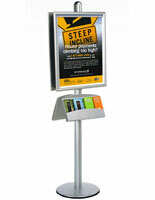 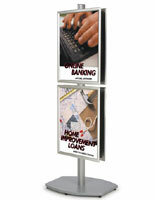 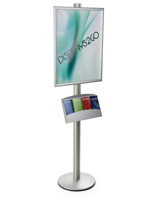 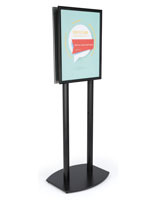 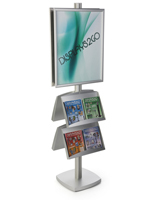 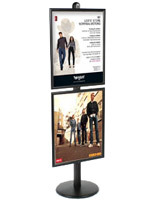 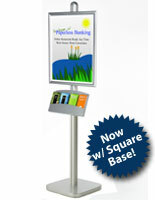 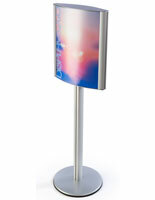 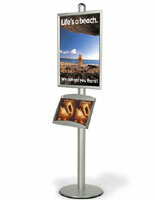 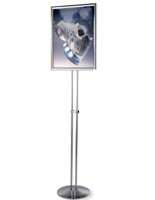 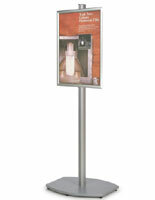 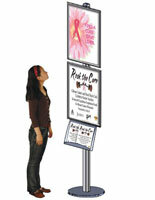 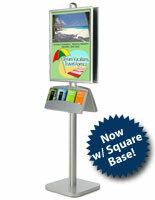 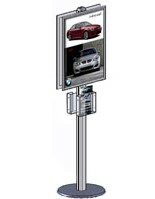 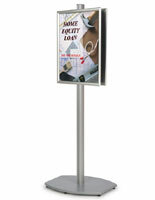 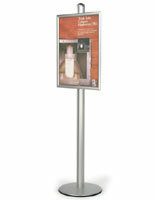 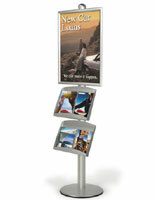 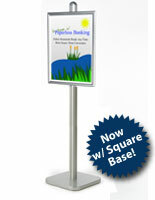 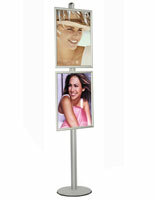 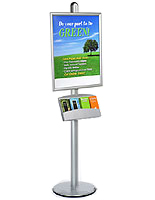 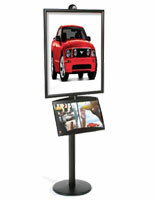 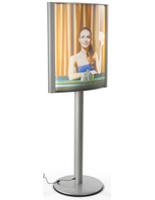 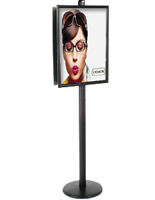 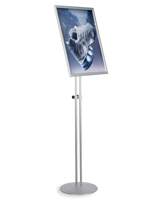 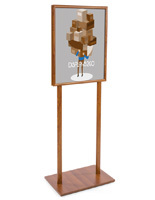 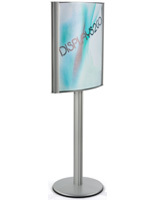 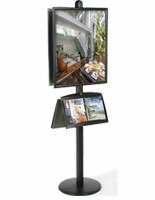 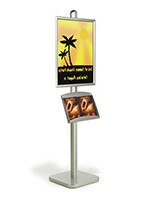 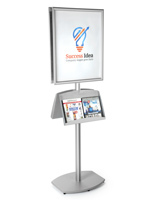 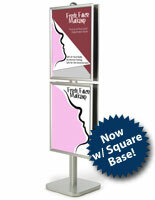 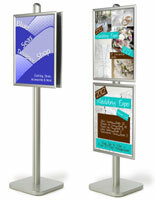 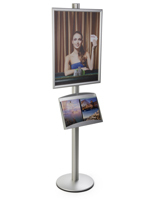 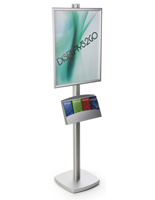 These stands are made to present images sized 18” x 24” and 22” x 28”, which are considered mid-sized graphics. 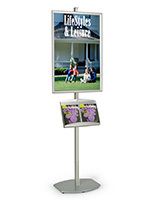 The floor-standing snap frames are designed to sit firmly on any floor without tipping or toppling over. 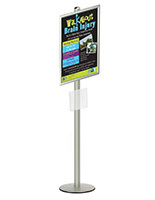 The weighted bases keep the holders upright even when crowds are thick or there is a lot of foot traffic. All of the displays we carry are finished with a silver or black coating that makes it easy to match to any décor or theme of a setting. 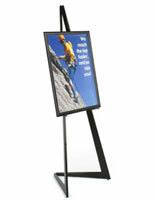 If you need more than just a frame, we have you covered. 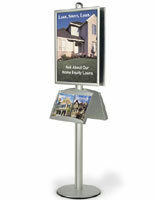 Most of our models come with pamphlet holder, literature trays or additional storage for print-outs. 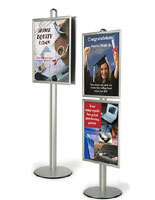 The snap open design of several of our models makes it easy to change your inserts and graphics. 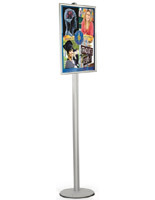 This means that you can easily change 18” x 24” or 22” x 28” posters as frequently as you like without disassembling the entire floor-standing snap frame. 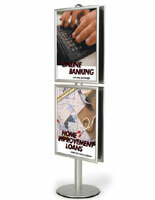 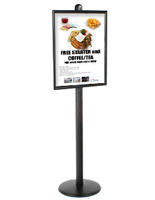 Simply pop out your old poster and add in a new one to highlight new specials, sales or promotions. 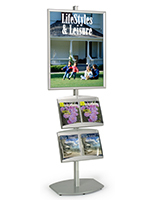 With the adjustable holders, it’s easy to customize it to fit your retail, restaurant, hotel or business setting. 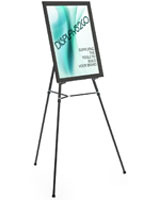 Choose from our large selection of 18” x 24” and 22” x 28” poster frames to make the most of all your advertising and promotional space!